Product prices and availability are accurate as of 2019-04-11 17:02:46 EDT and are subject to change. Any price and availability information displayed on http://www.amazon.com/ at the time of purchase will apply to the purchase of this product. Swing-Arm Wall Lamp This swing-arm wall lamp adjusts at the base, elbow and head for easy task lighting. Includes a 6 foot cord and plug, full range dimmer and a 100-watt J-type halogen bulb. 120 volts line voltage. UL certified. 7 in x 27 in x 20.25 in x 26.25 in. 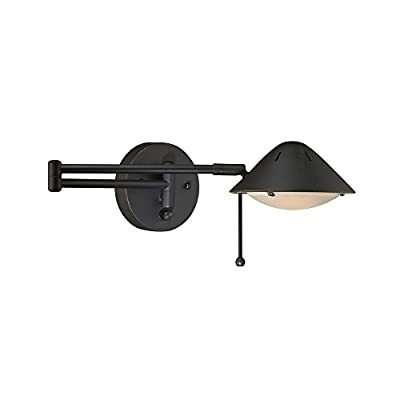 Design Classics Swing-Arm Wall Lamp - Steel Light Fixture - 7 in X 27 in X 20.25 in X 26.25 In.